Unfortunately my dad is in the hospital again because of lumbar pyogenic spondylitis occurring after spinal surgery. He asked me to come to the parents' house and take him to the hospital by taxi. Unfortunately I cannot drive even though I have a drivers license. After hospitalization procedure, he asked me to go to the ATM and draw lots of money. I asked him what for the money. He said it's for me. I felt unusual so I denied doing that. He texted me to ask me to pick up items such as chopsticks from his home and deliver to his room. I replied the message like I would be back by dinner time. After I went back to the hospital to deliver them, he asked me if I had some 1000 yen bills to break the money. I had 5 so I handed 5 pieces of 1000 yen bill to him. Then he gave me 10000 yen bill. I got 5000 yen? He seemed to want to give me money somehow as a token of gratitude. 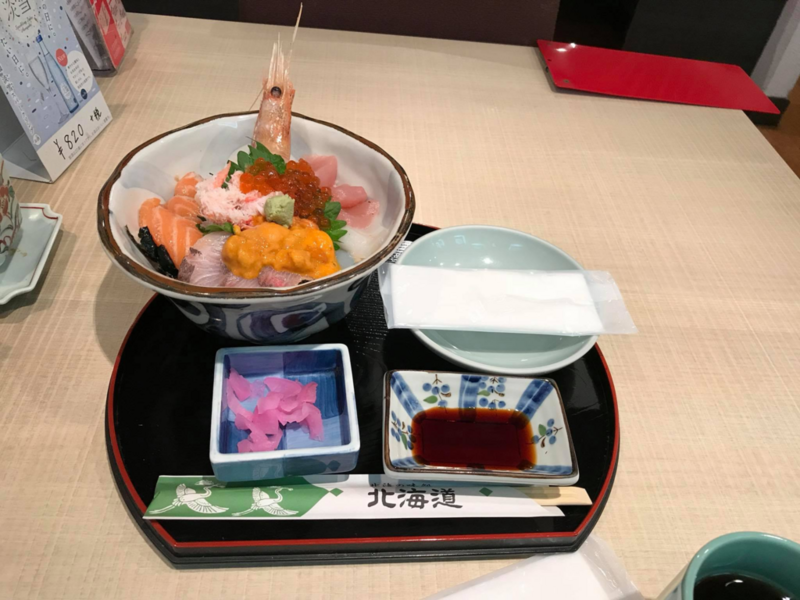 I was hungry so I went to the shopping mall and order this Assorted seafood rice bowl for dinner. The name of the restaurant is Hokkaido. 2700 yen and tax. Wow.